Season Chicken with adobo seasoning, red pepper flakes, salt and pepper. 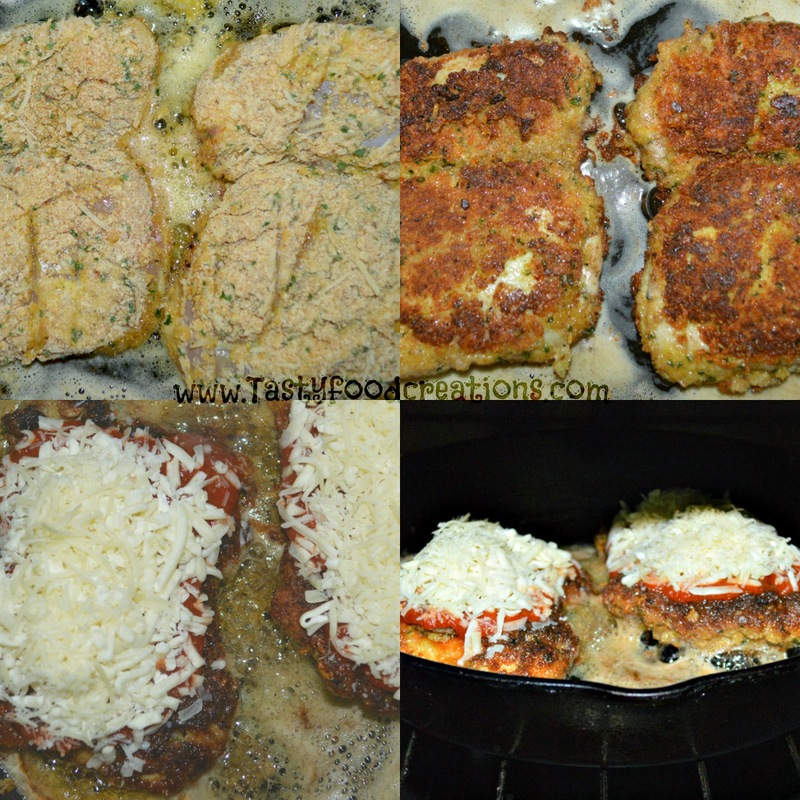 Mix Breadcrumbs with 1/4 cup of Parmesan cheese in separate bowl. Add flour to strainer and season it with salt and pepper. 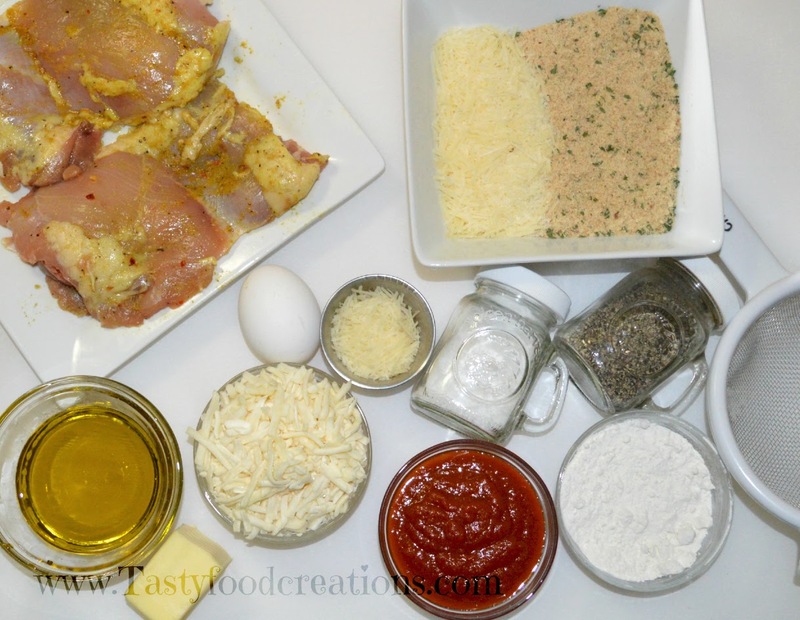 Sprinkle chicken with flour evenly on both sides. 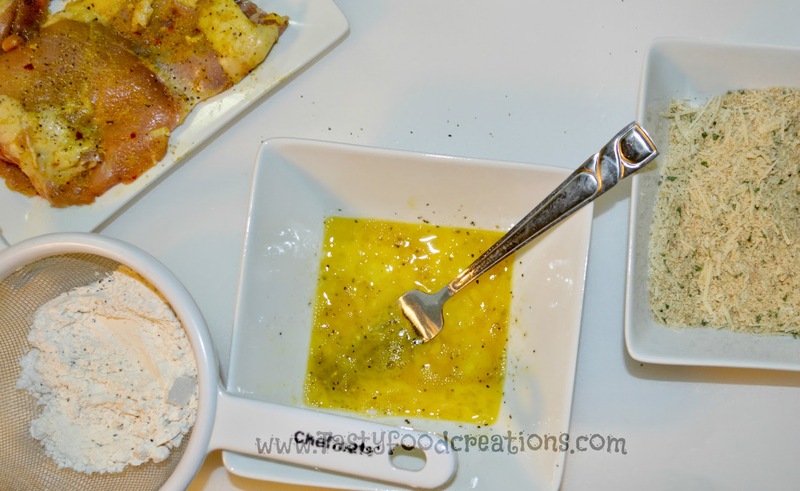 Dip Floured Chicken thighs in beaten eggs. Transfer Chicken thighs to breadcrumbs mixture. 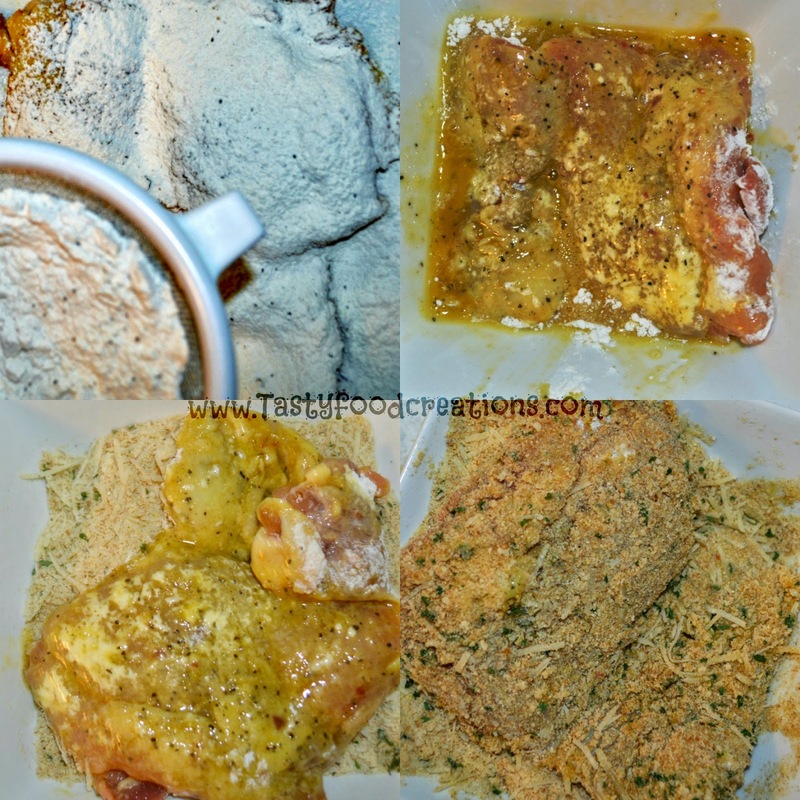 Press breadcrumbs into both sides of thighs. Heat Olive oil and butter in large cast iron skillet until it starts to shimmer (or any large skillet that is available, but you will need to transfer chicken to a baking dish). Next, at this point you need to transfer chicken to a baking dish if you did not use cast iron or any other oven safe skillet. 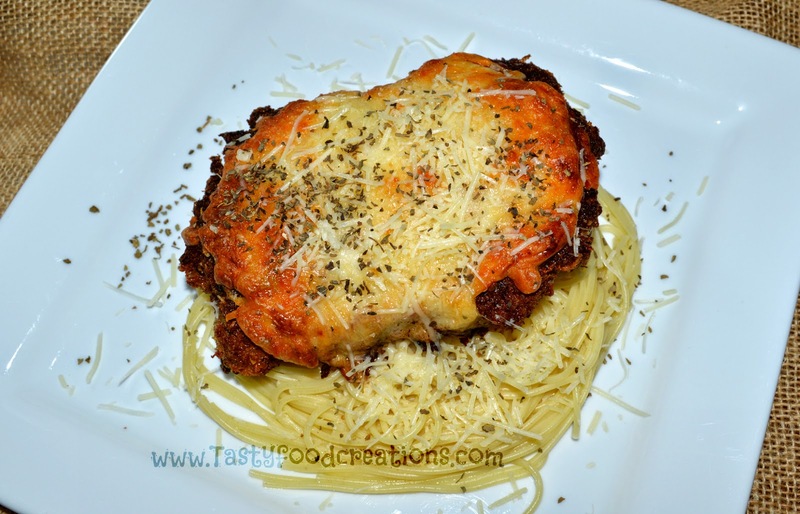 Top chicken thighs with equal amount of tomato sauce, mozzarella cheese and Parmesan cheese. 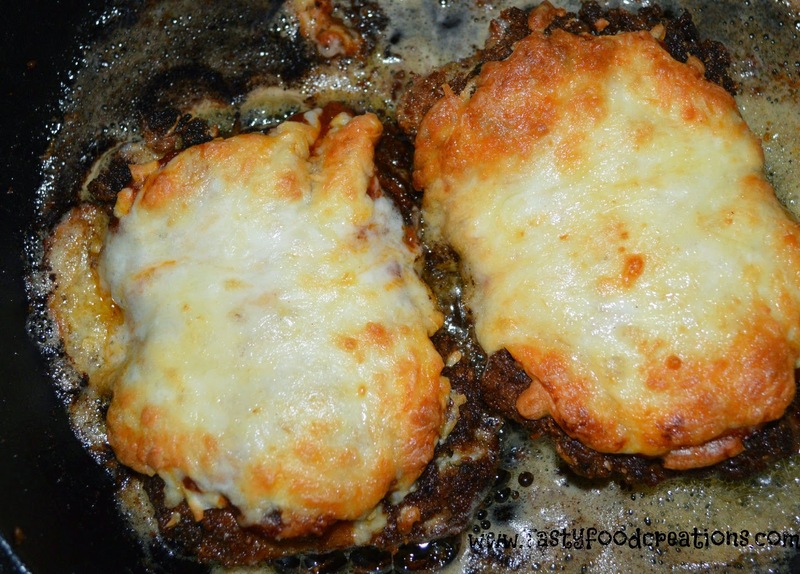 Transfer chicken to preheated oven and bake it until cheese is browned and bubbling and chicken thighs is no longer pink in the center, about 10-15 minutes. 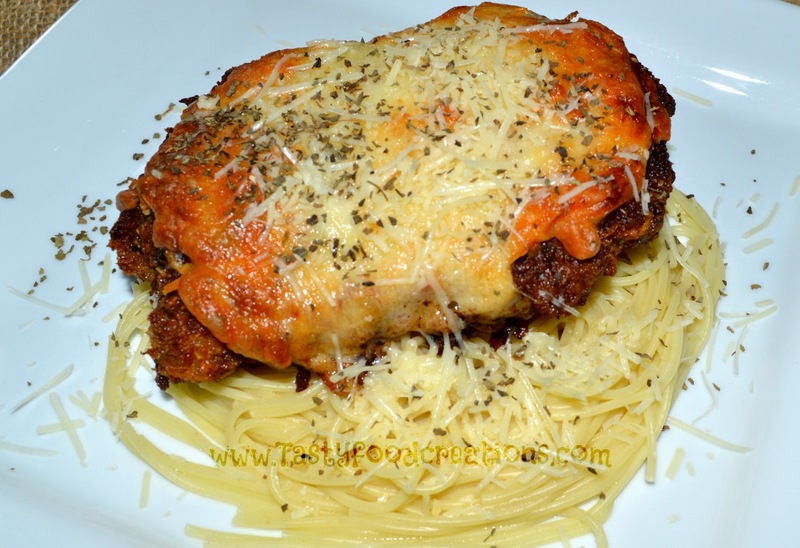 An instant-read thermometer should read 165-170 degrees F.
Serve Parmesan Chicken Thighs with your favorite pasta. When serving sprinkle chicken thighs and pasta with Parmesan cheese and basil. ENJOY!! !